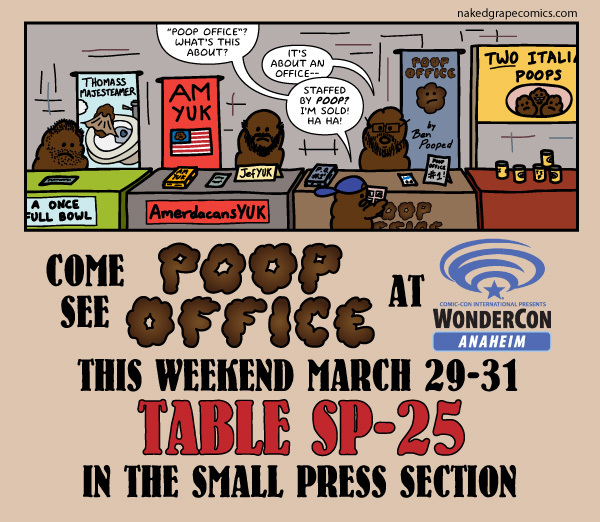 Every once in a while, the poops at Poop Office like to give credit where credit is doo and reward their empooyees with some show of recognition and encouragement. To accomplish this, they brought their greatest butts together and created what’s now known as the Super Pooper Award. 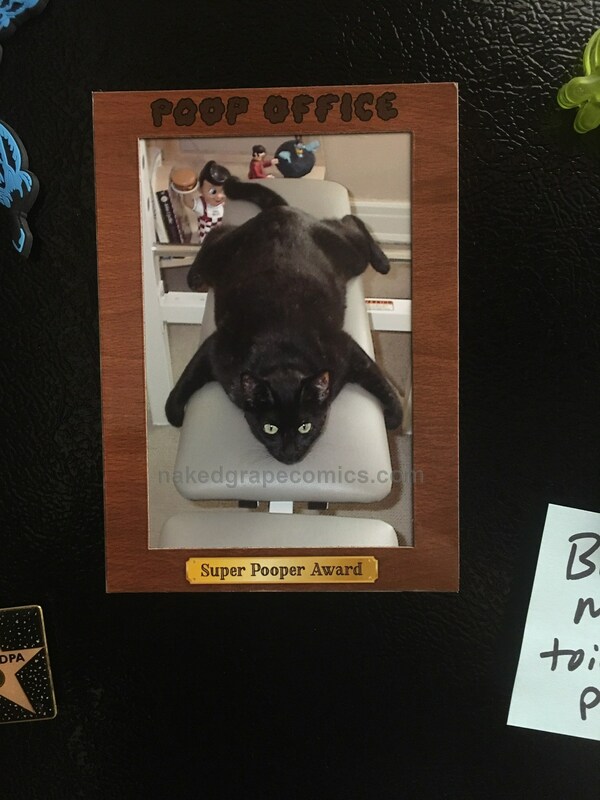 But now this award is available for purchase, so everyone can acknowledge and honor the Super Poopers in their own lives with this brand new magnetic photo frame available now! 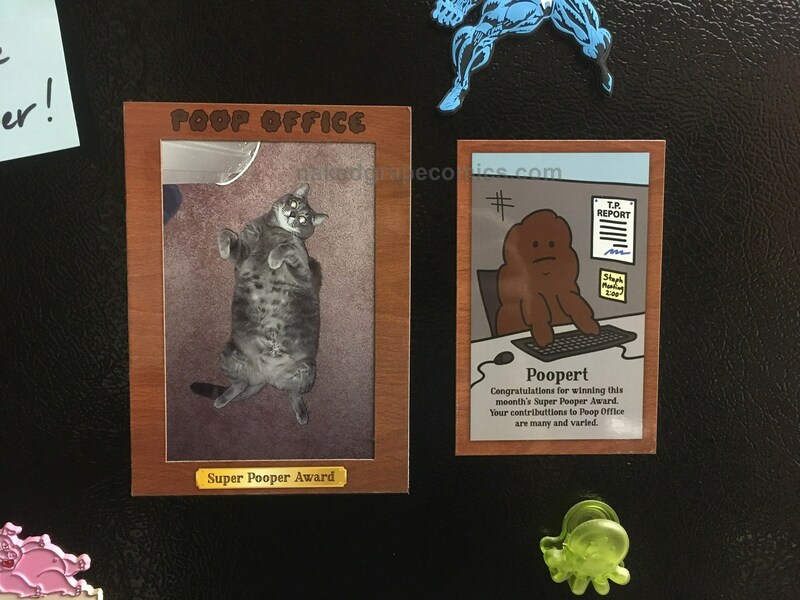 Simply remove the middle portion and place the frame over a 5×7 or 4×6 photo on any magnetic surface (like a fridge) to show off your own Super Pooper. 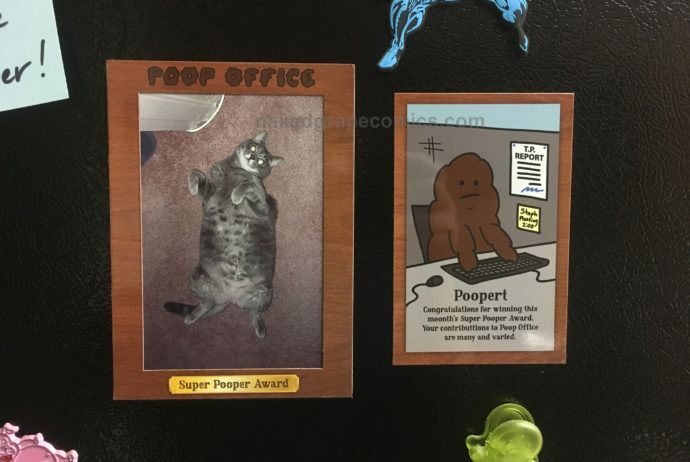 The middle portion can then be displayed separately to honor the original Super Pooper and star of Poop Office, Poopert! This item can be purchased through my online store, Etsy, or this weekend at WonderCon!